One word. It’s amazing what you can say with just one word. 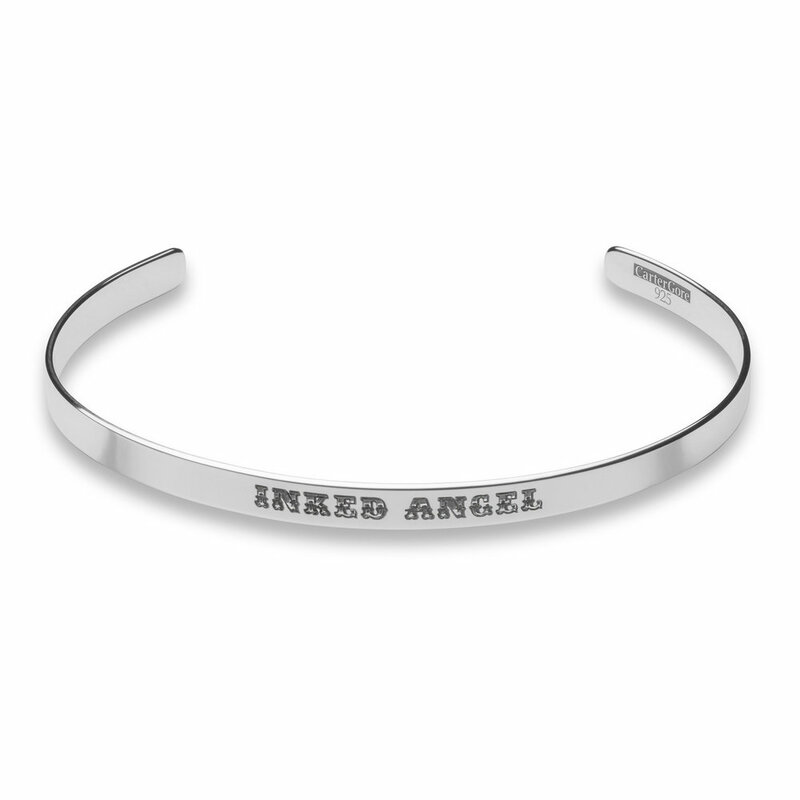 A collection of clean, minimal bangles and chokers that strips away the background noise to leave a clear, unapologetic impression of your individuality and style. 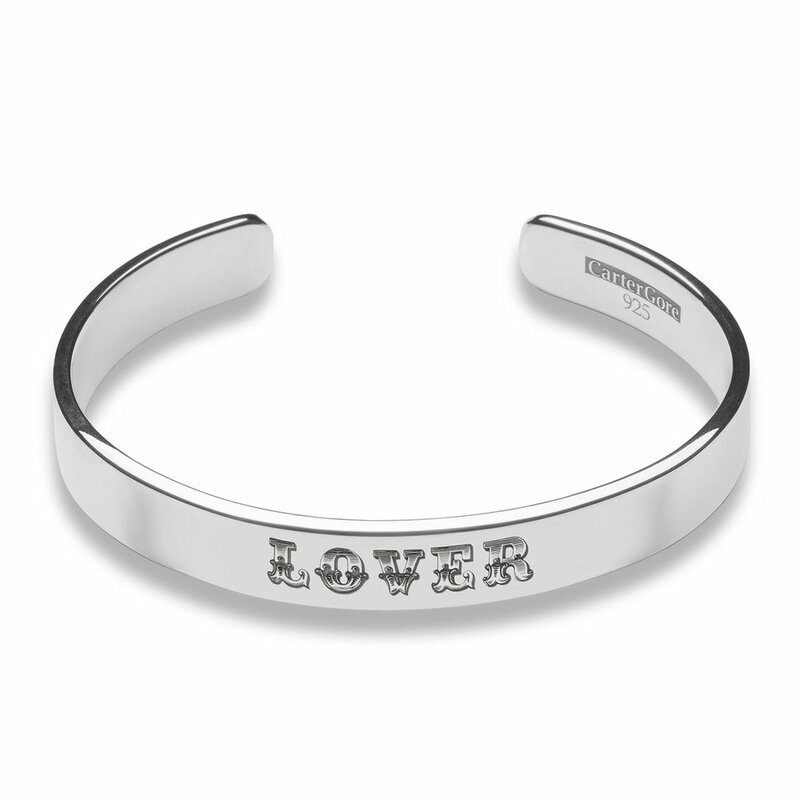 Just one word, immortalised in a true Carnival aesthetic and inscribed into solid silver jewellery. Fresh, contemporary, no messing around. 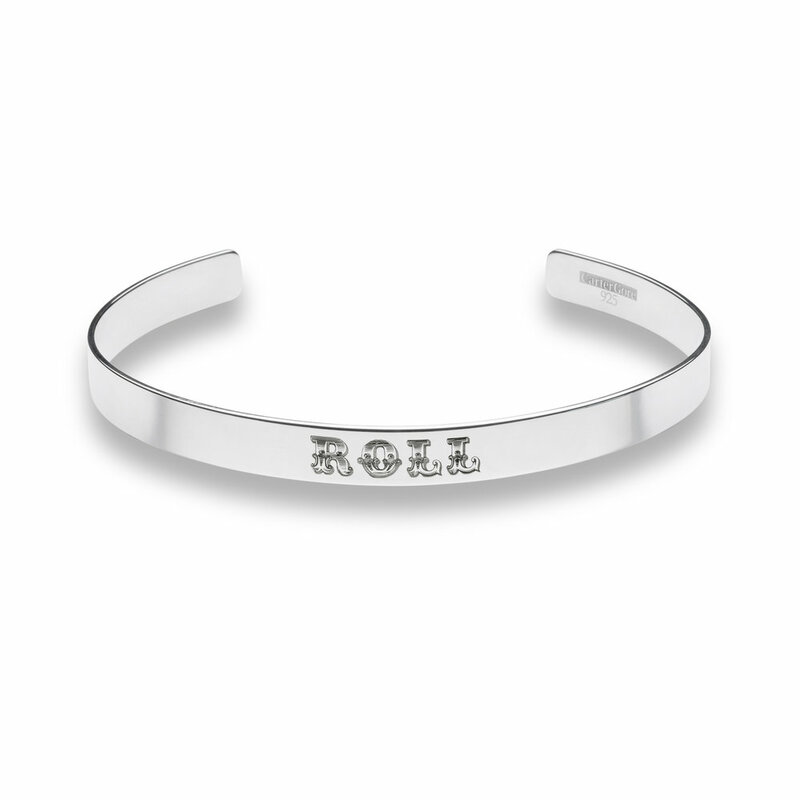 Click on Bespoke Bangle. Select size and quantity from the drop down menus and then add to cart. This will automatically provide a form. Enter your bespoke wording (up to 16 characters including spaces), press return and your bespoke request will be tagged to your order. Please proceed to check out, where you will be asked for payment details and delivery address. Your order will be processed and delivered within a few days. 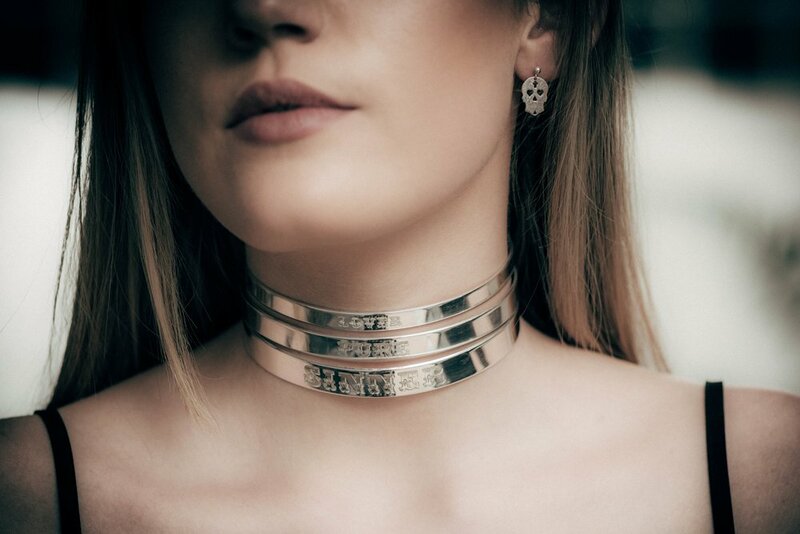 Click on Bespoke Choker. Select size and quantity from the drop down menus and then add to cart. This will automatically provide a form. Enter your bespoke wording (up to 16 characters including spaces), press return and your bespoke request will be tagged to your order. Please proceed to check out, where you will be asked for payment details and delivery address. Your order will be processed and delivered within a few days. Because all of our pieces are handmade right here in England, we can work directly with you to create a piece especially for you. A true one off. Beautifully bespoke. If there’s something you have in have in mind that you wanna commission, or if you need a guiding hand bringing your ideas to life … reach out, let’s get talking.